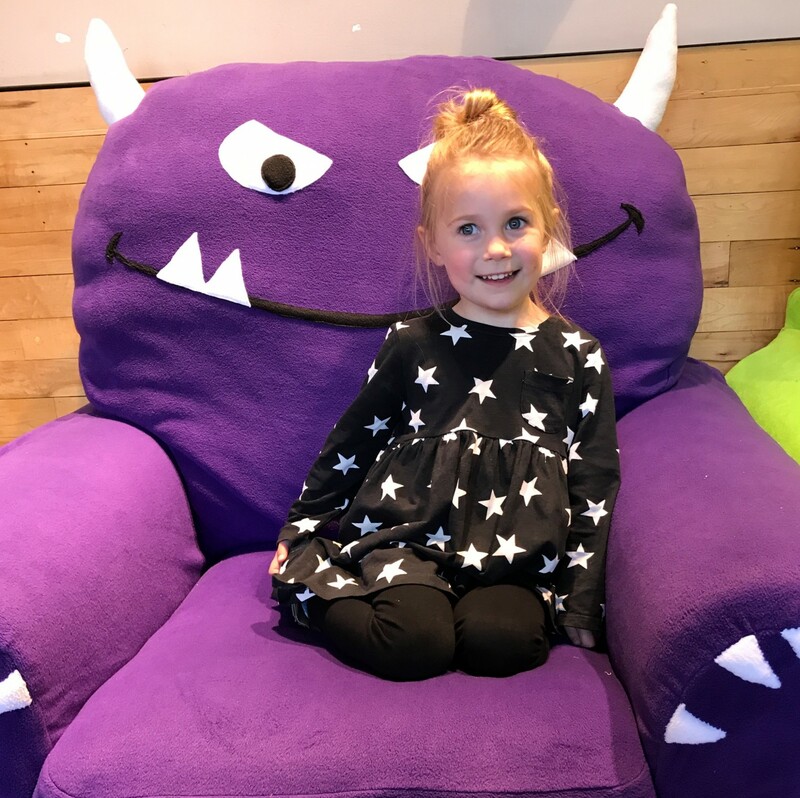 We’ve had a busy half-term this past week which has been really fun. 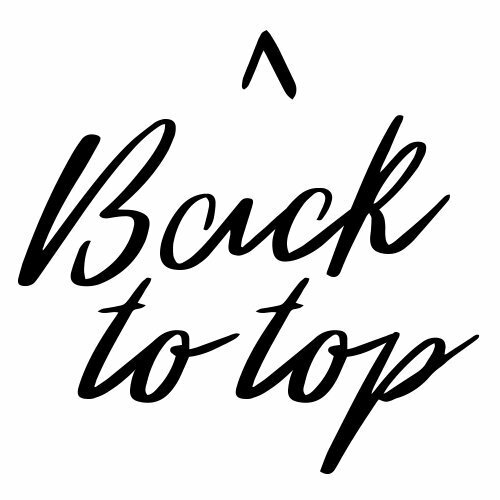 A break from routine is much welcomed after a busy start to the school term. I know it has only been six or seven weeks, but it has seemed to drag. I know the rest of the term leading up to Christmas will fly by, though. So a few lie-ins and not having to dash around each morning are always welcome! 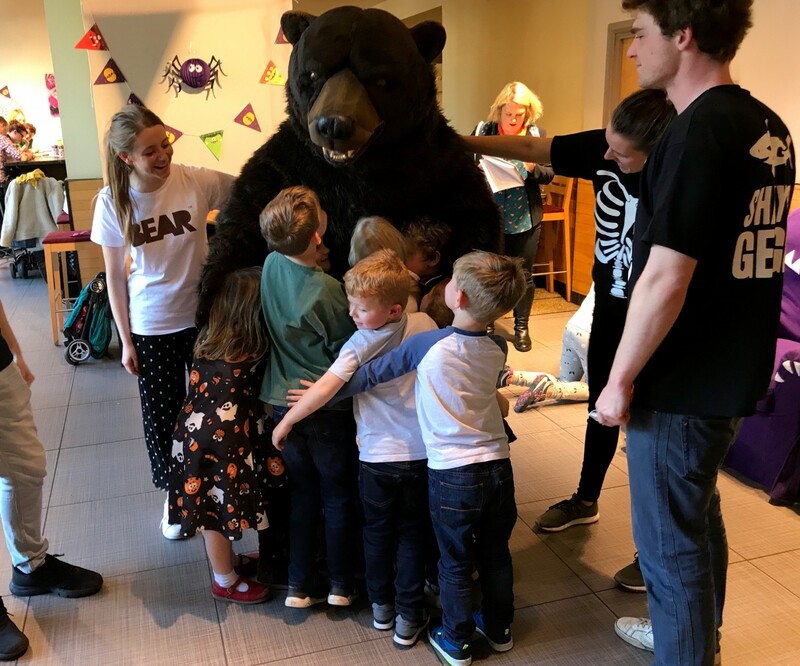 As well as a trip to London Zoo earlier this week, we also made another trip into town as we were invited to a Halloween party with BEAR Nibbles. 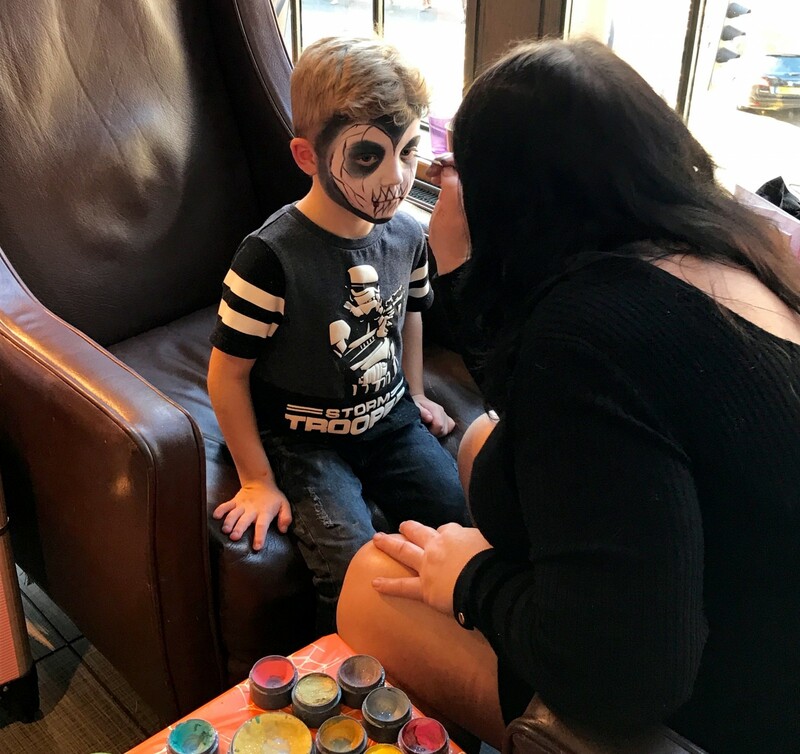 A chance to run around, have fun, and do a variety of spooky-themed games, as well face paint (can’t forget face paint), was very appealing for us all. Being able to meet BEAR himself, party hard with Sharky and George, as well getting to munch on lots of tasty BEAR Claws, made for a fun afternoon. The kids has such a great time! BEAR Claws are great for Halloween as they are made with just pure fruit and vegetables, but still work as a tasty treat. 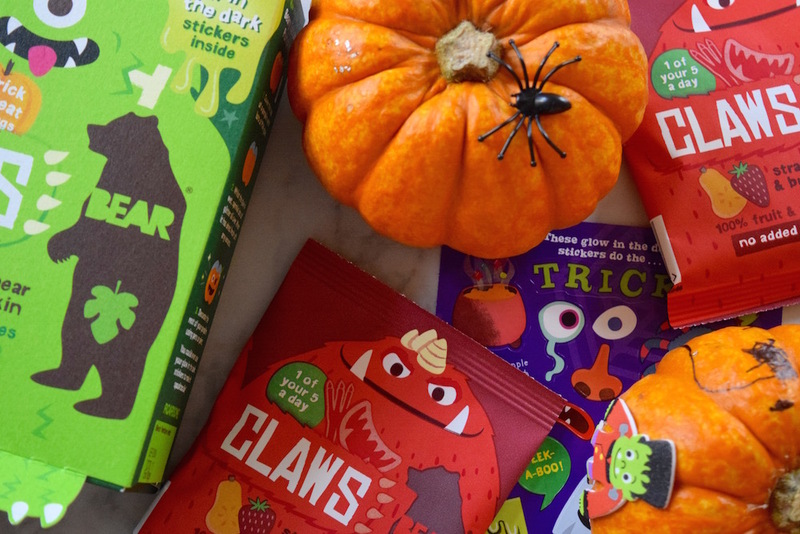 Plus, there are special Halloween edition boxes you can buy at the moment, that have glow-in-the-dark Halloween stickers inside; a trick and a treat for your little cubs. 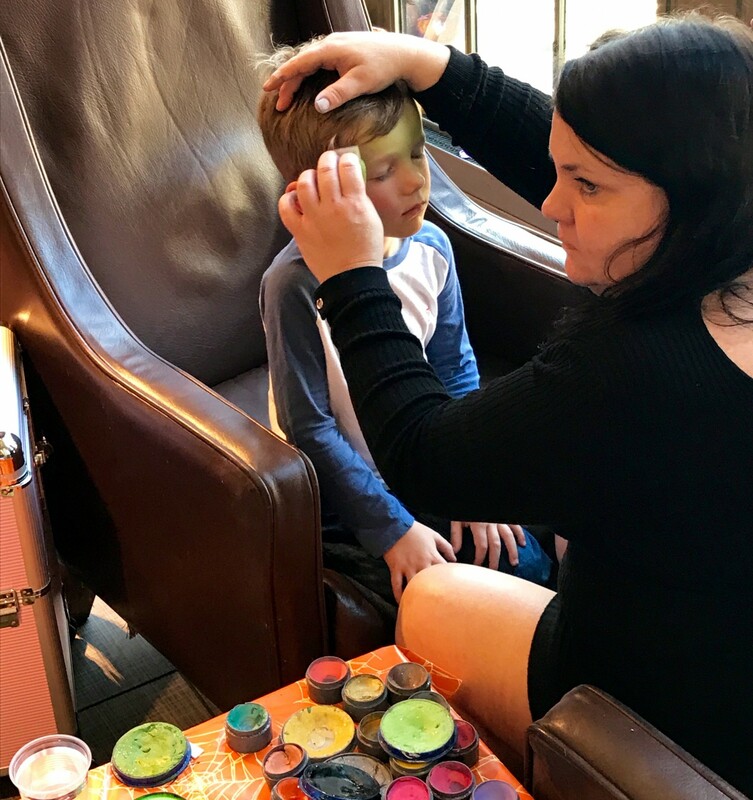 There were plenty of games for the children to play, even things like apple bobbing and having to put their hands in mystery boxes to see what gruesome things were inside. This was my nephew’s favourite, and he was quite pleased that he got his top wet doing apple bobbing! 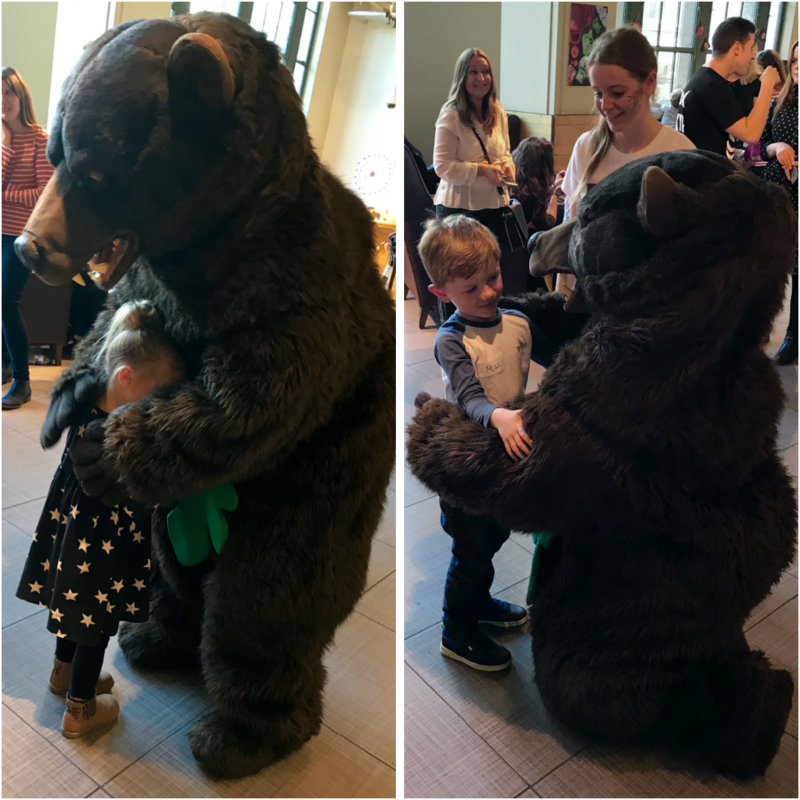 Max loved meeting BEAR himself (it was pretty realistic, I might add), as well as the fun games, especially trying to sneak some BEAR Claws out of a tub without being caught. 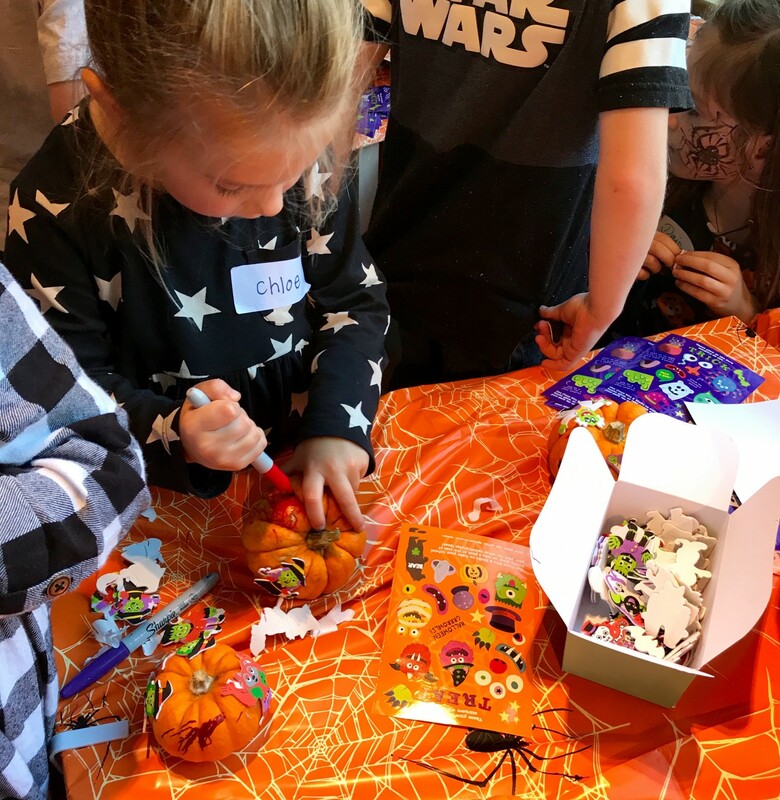 Chloe enjoyed the crafts the most, as they could decorate little monster bags and the cutest munchkin pumpkins. 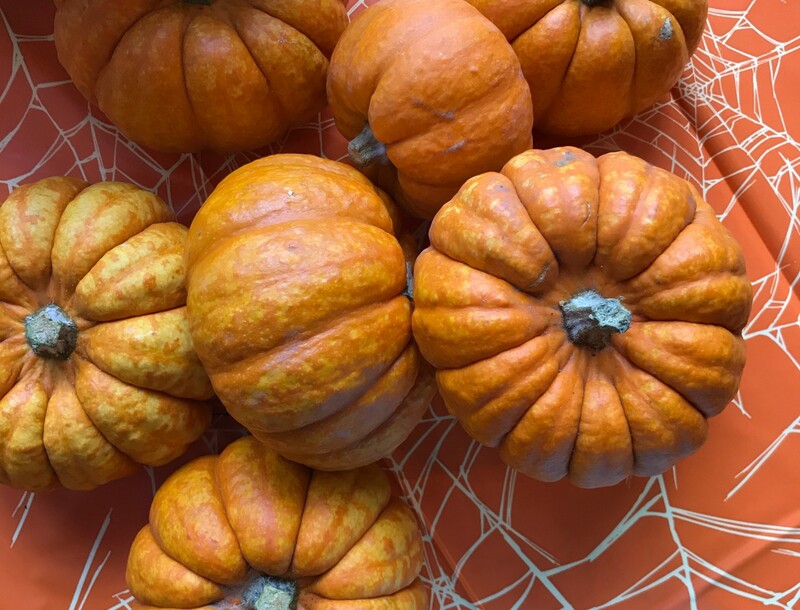 What is a Halloween party without pumpkins, right? We’ve got them proudly on display at home with our other Halloween decorations. If you’re on half-term this week, then it could be a fun thing for you to get and decorate; much safer, simpler, and easier than carving for little ones. 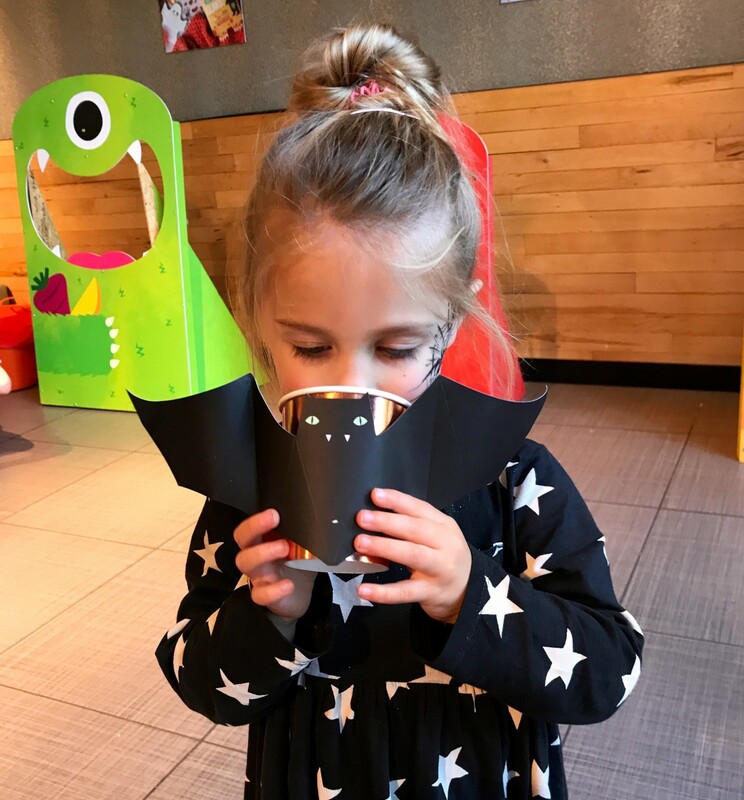 We’ve been making some cool Halloween pictures with the stickers that come in the Claws boxes at home too. 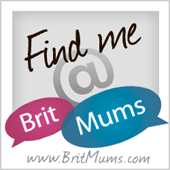 I will never know what it is about stickers but my children love them! 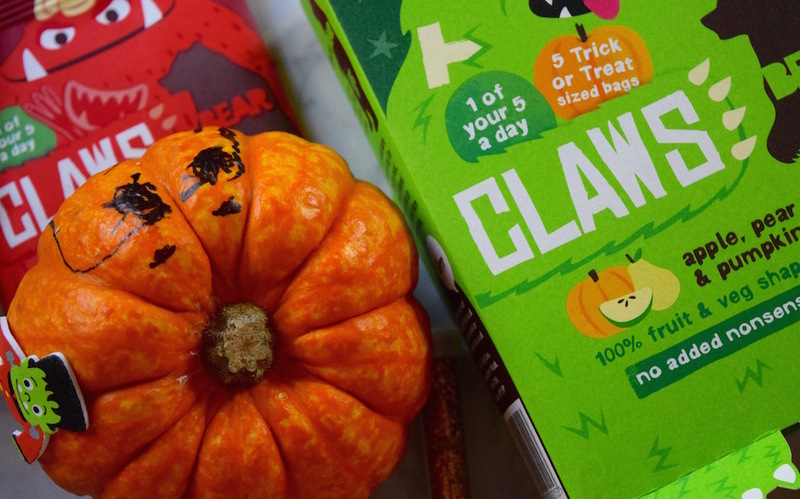 Particularly when there’s lots of variety, as there with the Claws trick or treat stickers – they include different monster eyes, noses, and mouths so cubs can really get creative. It is a good way to pass an afternoon too; so all is not lost if you’re on half-term this week and looking for something to do. Taking some photographs of your creations (or getting the kids to photograph them) can be a fun idea too. What have you got planned this week? 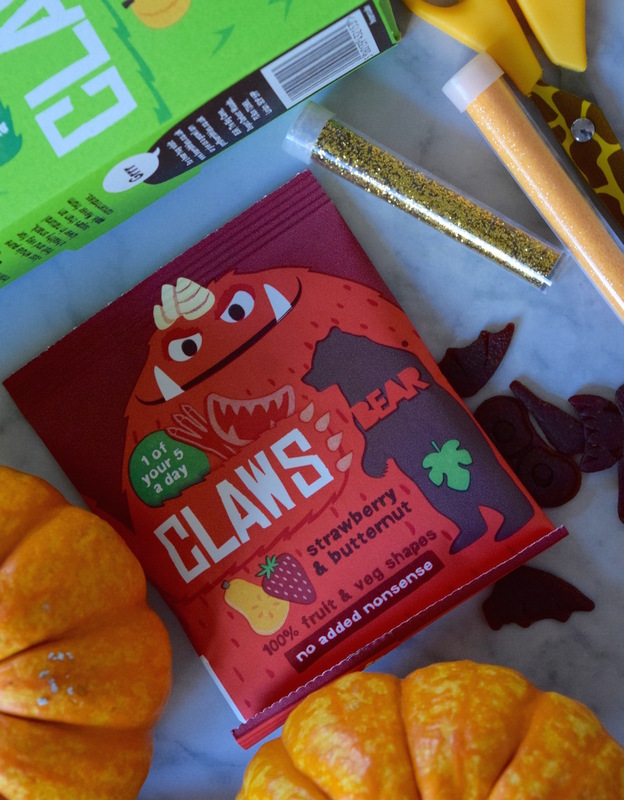 If you’re planning to stay in for trick or treaters, then I think BEAR Claws are a great snack to have in as they are made from all natural goodness, unlike the majority of trick or treat ‘treats’ that are out there. BEAR Claws are £2.49 for a pack of five at most supermarkets, but I have seen them on offer recently at my local Asda; so stock up while you can! 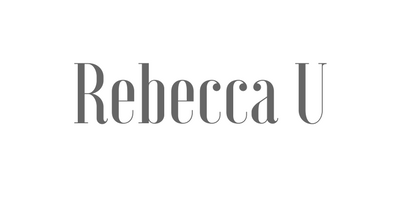 *post in collaboration with Bear Nibbles. This sounds so much fun for kids. 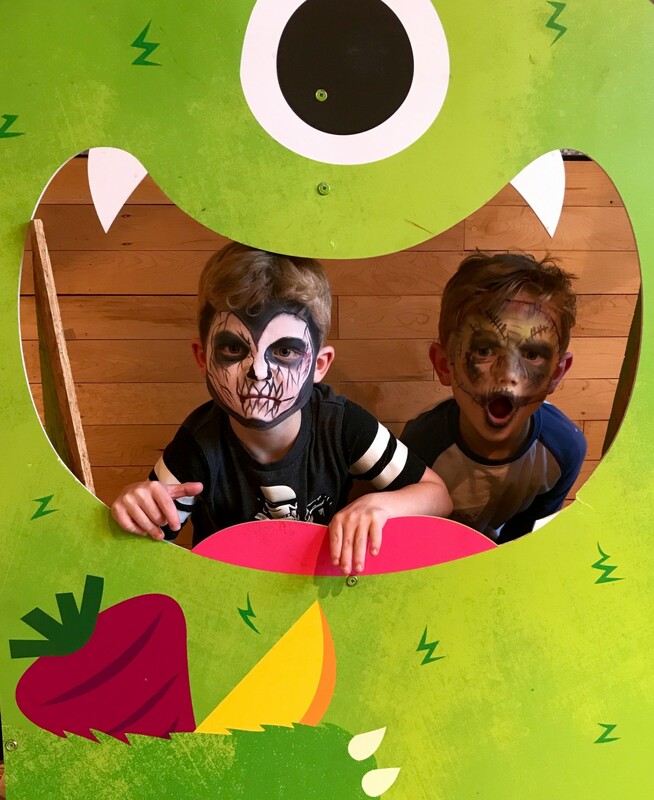 I took my son to a mall in Essex on the weekend, and they had arranged some lovely Halloween activities for kids on the ground floor. Bear looks amazing! And what a fun event for the kids too. I like that there were a variety of activities for the little’uns to get involved with and glow in the dark stickers are always a good thing in my book! What a fun event! Those BEAR claws look absolutely fantastic! Haha, that looks like such an awesome and fun event! Wish I could have taken my daughter. I hope you had a happy Halloween. I bet the kids had fun. Wow! What a fun event. I am sure my kids will enjoy it here too.